Screened-in porch ideas and deck designs are no longer necessarily basic and simple, like the old screened-in porches some of us remember from years ago. 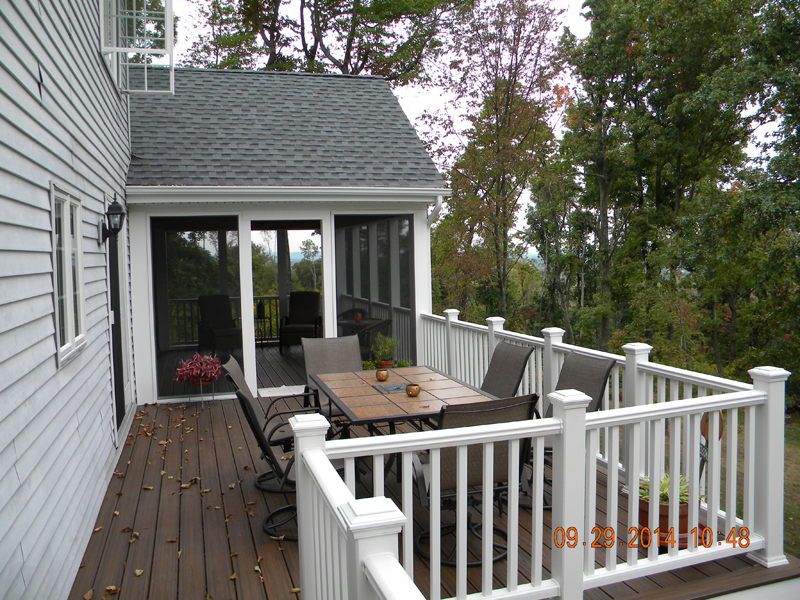 Today, screened deck designs can be as elaborate as your imagination wants them. Amazing Decks, professionals in screened in porch designs, can make your porch one of the most awesome areas of your house. 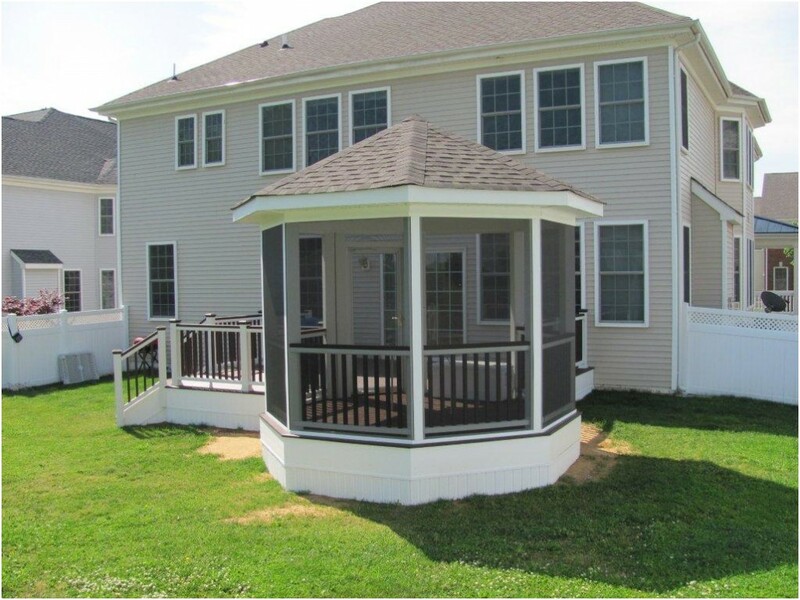 What are the Benefits of Screened-In Porches or Decks? 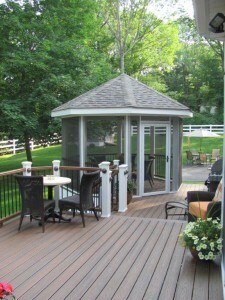 There are a lot of benefits for screened-in decks and porches. One is so they can enjoy their porch earlier in the spring and later into the fall. The screening acts as an excellent wind blocker and partial insulator. Few people would want to sit on a porch when it’s minus-5 degrees outside, but they love relaxing there during the other three seasons. 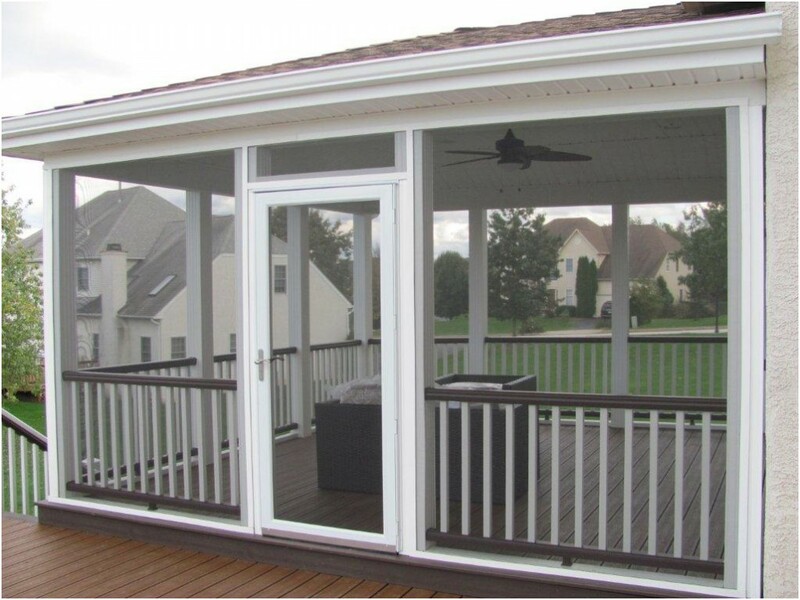 Screened deck and porch designs are great for the hot summer months because they keep the bugs out and allow families to cool off outside rather than staying closed up inside with the air conditioner running full blast. In addition to warding off flying and crawling insects, the screening around a porch or a deck keeps out dust and debris. This means you’re safe to serve food and drinks out in the open without the worry of contamination. 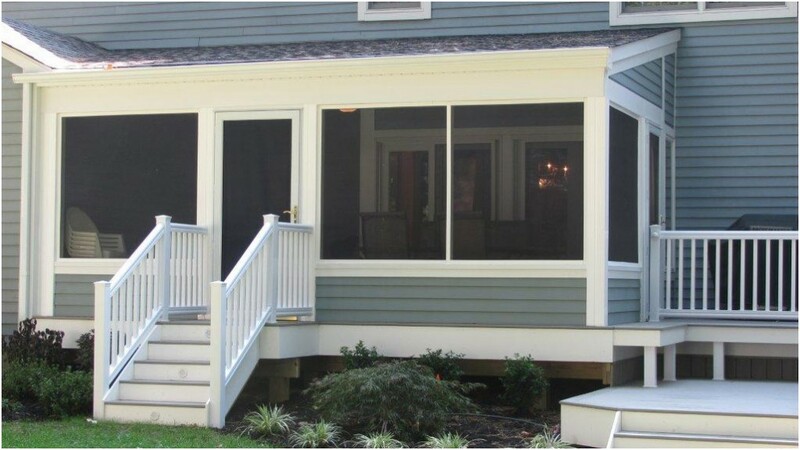 In addition to all this, the screened in porch designs we create and install are beautiful to look at and are excellent ways to increase both the usability and value of any home. 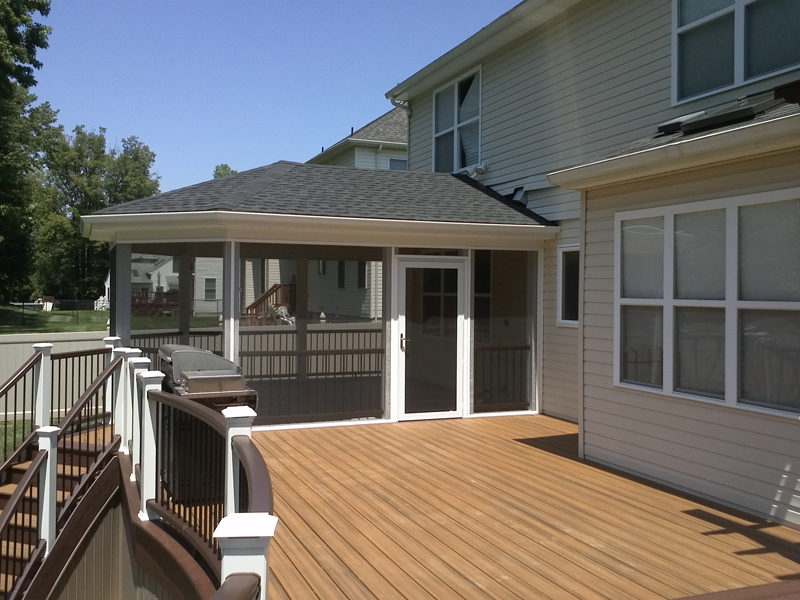 We take great pride in constructing our deck and porch designs, so they will satisfy our customers now and for years to come. 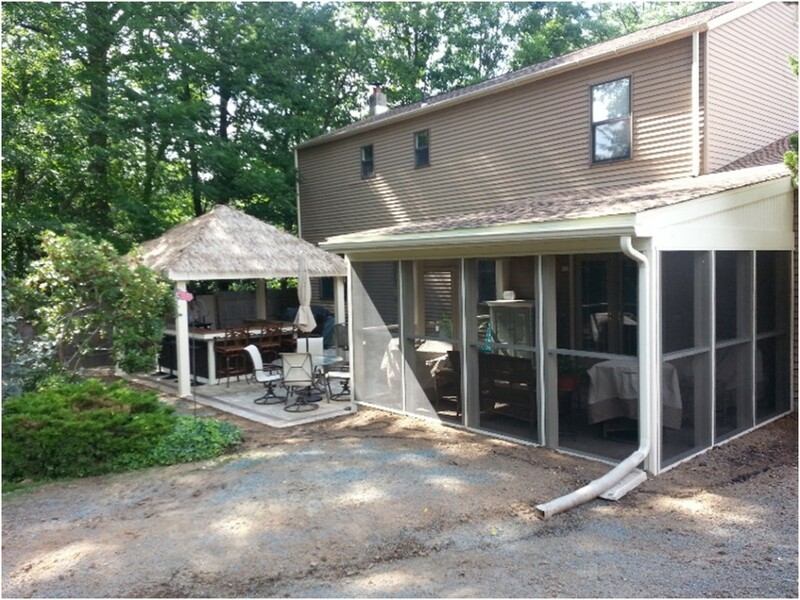 Ready to Bring Your Screened In Porch or Deck Ideas to Life? There are many advantages to making your porch fully functional for three seasons of the year. 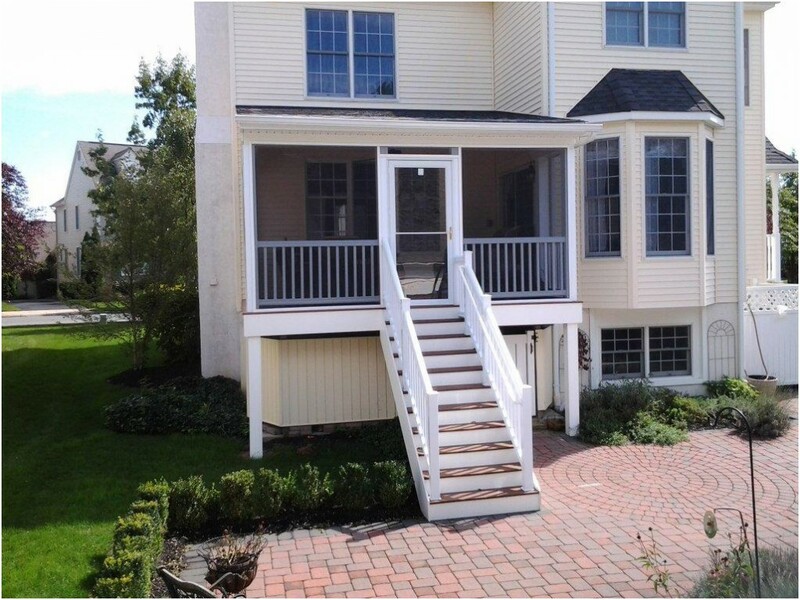 If you’d like to know more about the various designs we can work from to build a beautiful screened porch for you, just give us a call at (215) 654-1886. You may also want to stop by our showroom at 11 South Ridge Ave. in Ambler, Pa., and talk to a representative who can answer all your questions about screened-in porch ideas, designs, and installation. 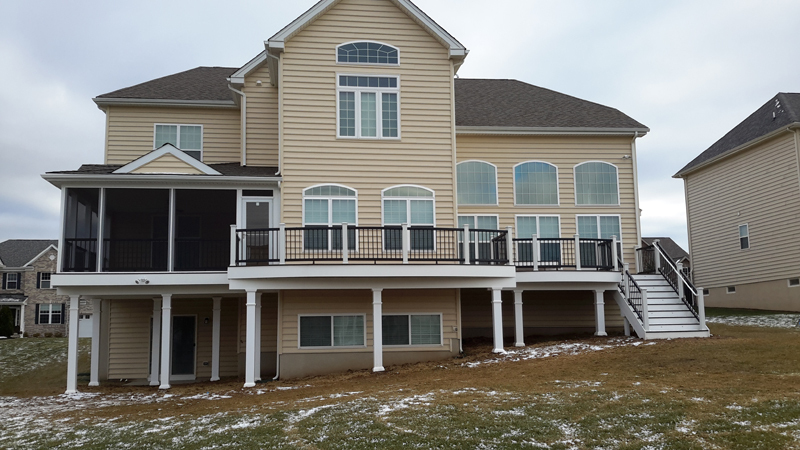 For information on screened deck designs in New Jersey, contact us today or give us a call at (215) 654-1886 to learn more.